This chicken is moist on the inside and crispy on the outside with a lovely rich spicy flavour. When l say that, remember that l eat quite plainly so my version of spicy is very mild. 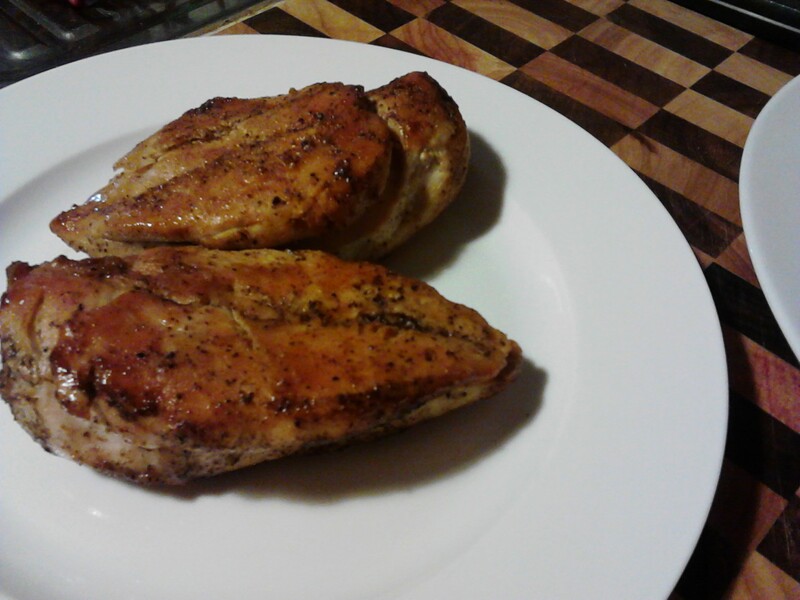 I have cooked this chicken several times now and the combination of cumin and cinnamon is delicious. You could add a dressing to your salad which would add another element to it, but l actually think that this salad had everything. 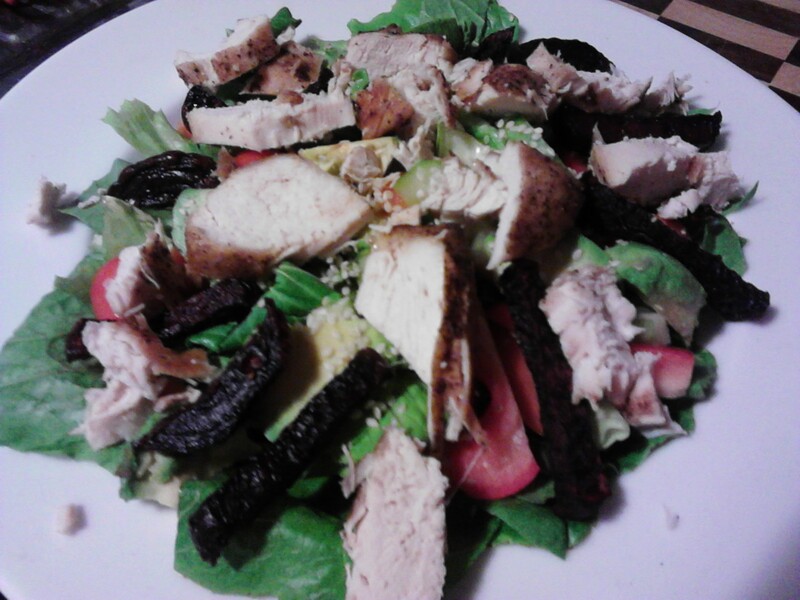 There was crunch from the greens, moisture from the avocado and tomato, crunch from the seeds and spice from the chicken. The combination of raw and cooked ingredients really gave this dish a good balance of flavours. This was enough to serve two adults and three children. You will need two free range chicken breasts. Give them a wash and place them in a glass baking dish. Drizzle the chicken with Olive Oil and sprinkle with ground black pepper, Pink Himalayan Crystal Salt, a good pinch of Cumin and a teaspoon of Cinnamon (I used organic Cinnamon). 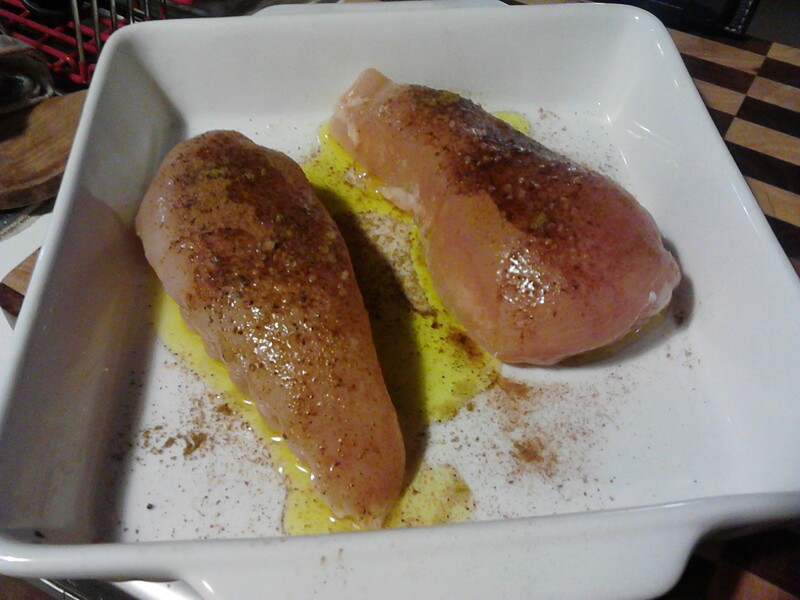 Turn the Chicken fillets over a few times in the oil and spices so they are nicely coated. Cover with Aluminium Foil and bake in a 200 Degree oven until the chicken is cooked through. Place under a grill and brown both sides of the chicken until golden. Place the meat on a chopping board and slice as desired. I had this lovely chicken with a green salad, seeds (sesame & Pumpkin), avocado and roasted beetroot chips. 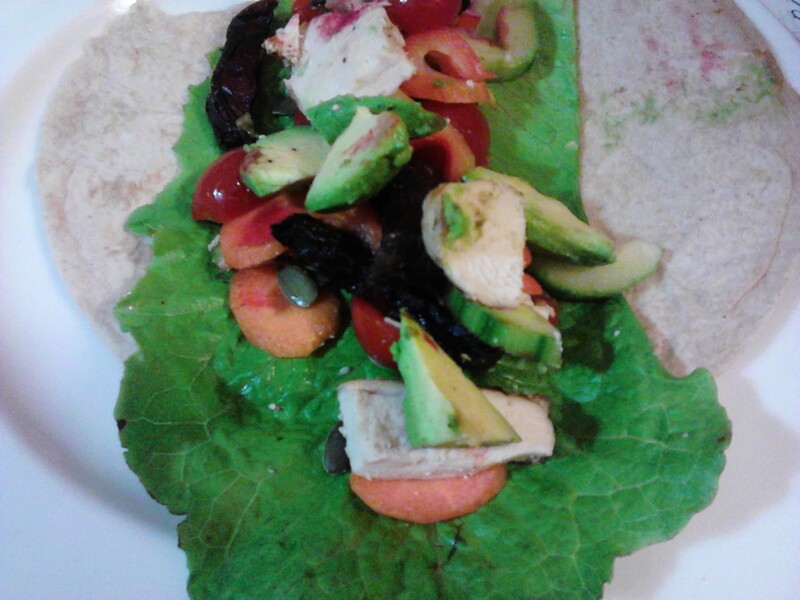 My children had the chicken with salad in an Organic Spelt wrap.